Manchester united manager Jose Mourinho has revealed the instructions he gave Paul Pogba before his united debut against Southampton. 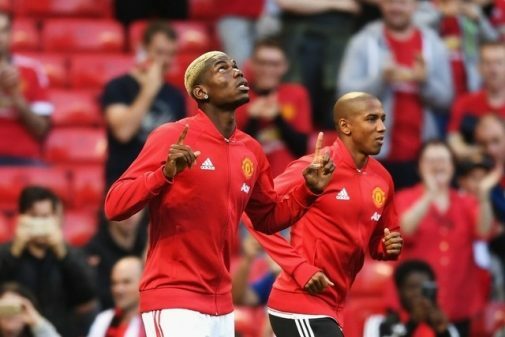 Mourinho’s side won their second game of the Premier League campaign, beating Southampton 2-0 at the Old Trafford in which new signing Paul Pogba made his first appearance in a red devil shirt and impressed as Ibrahimovic’ double sank the Saints on Friday night. When asked about what he told Pogba, Mourinho replied: “Play. I don’t know which position he played. For a player to play with the freedom he has, we have to build a certain organisation around him. He has to play with freedom. “(But) you can see even more the ego, the personality. He’s so comfortable in the skin of a star, so confident, the way he plays. The Portuguese was clearly delighted as his side ease past a “ball-playing” Southampton on Friday night.